Are You Sure What Your Dietary Supplement Contains? Millions of people take various dietary supplements. In fact, it’s reported that about 50% of adults take dietary supplements of some kind. It has become a $35 billion industry. Walk into any drug store or larger store with a pharmacy and you will find at least one row of shelves devoted to the many dietary supplements available. From time to time, I have suggested some supplements for various health conditions such as ones to help control blood glucose for diabetics, help control high blood pressure and heart health and some to help with liver function and to help boost immune system and even help protect your skin and keep it healthier. You need to know that when I suggest any of these supplements, I’m only suggesting specific ones and not some of the other ingredients that some companies put in them. But, did you know that this huge industry is unregulated by the Food and Drug Administration? You may ask what’s the big deal of not being regulated by the FDA, but let me ask you if you know what is in those dietary supplements that you are taking? Can you trust the labeling to tell you everything? Have you ever read what some of those ‘inactive ingredients’ are or even what some of the listed ingredients are? 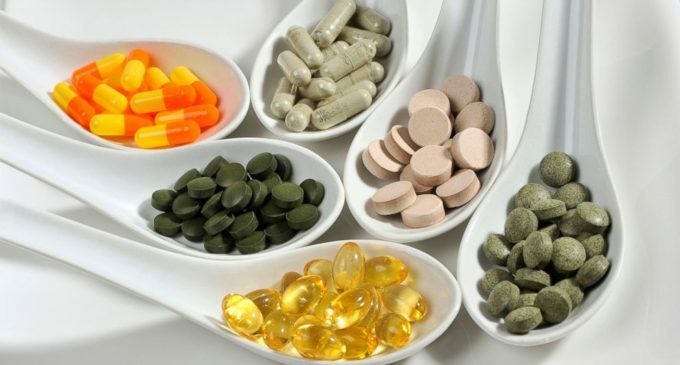 I recall some studies over the past decade that showed that not all supplements are the same and that some may even contain ingredients that could be harmful for some people. Some weight loss products were found to contain sibutramine, a compound removed from the US market in 2010 because of the risk of cardiovascular problems. Have you ever used one of the muscle building supplements? The study found that many of them contained anabolic steroids that were not declared on the labels. These steroids, especially if used too much or too long can cause heart problems and damage the liver and kidneys. Other supplements contained antihistamines or antidepressants, both of which can have harmful side effects and could have a negative interaction with medications the person is taking. The FDA has managed to force recalls of 360 of the 746 tainted products leaving 386 of them still on the market. The result of the study is prompting Congress to take action to force the supplement industry to get FDA approval before being placed on store shelves. In the meantime, what can you do to be as safe as possible? The best solution is to eat a healthy diet that provides many of the nutrients and vitamins you need. If you do take supplements, you do so at your own risk, which is why it’s recommended that you have regular checkups with your doctor.